Large Activity Pad Assortment. Keep the little ones busy during car rides and more with these enjoyable activity pads! 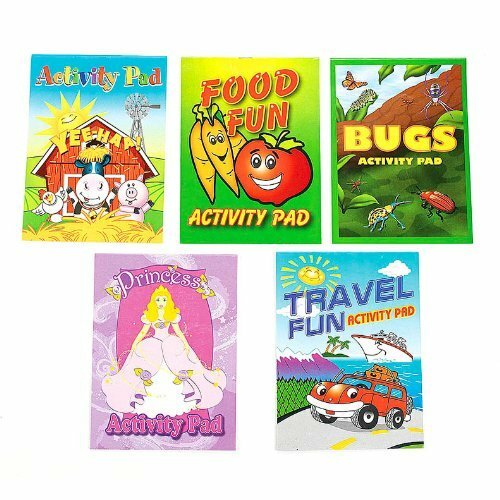 Each 5" x 7" activity pad comes in a different theme including "Bugs", "Food Fun", "Princess", "Construction" and more. Kids will be entertained for hours! Each pad is packed full with great coloring pages and puzzles on 12 fun-filled pages! And with 144 pads in every unit, these activity pads will make great giveaways during school festivals or celebrations. Each is 12 pages & 5" x 7"